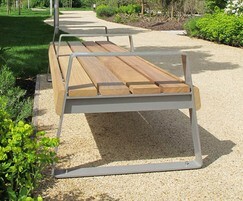 The Ribbon XL bench made from iroko timber is bold in design to give a greater visual prescence, desirable in parks and large open spaces. 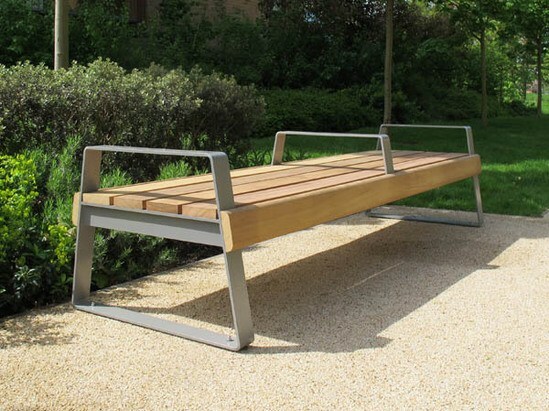 The 720mm deep seating surface is larger than most conventional benches, allowing it to be used as perch seating from both sides at the same time, potentially doubling the seating capacity when fully occupied. 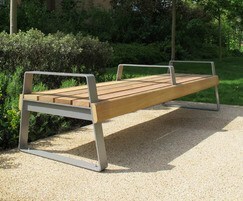 Without armrests, the bench is effectively a large uninterrupted seating platform that can be approached and sat on from any side. 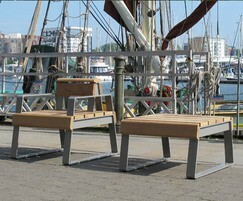 Armrests are offered as integral features to steel platform supports or as add-on features fixed to the timber seating platform.